FETCH! 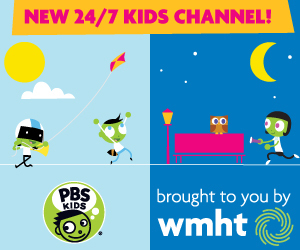 features real kids, real challenges, real science, and an unreal host named Ruff Ruffman. The star/producer of FETCH! 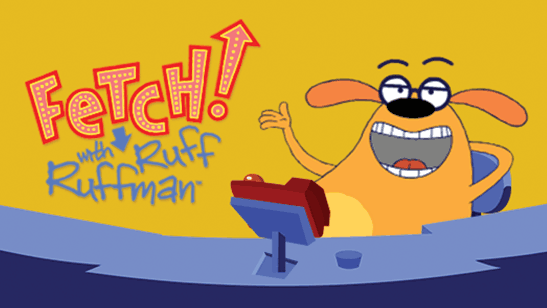 is a slightly neurotic yet lovably charismatic canine named Ruff Ruffman. He runs the show from his state-of-the-art headquarters, otherwise known as his doghouse. From the outside, it's pretty much what you'd expect (a roof, four walls, a couple of worn-out squeaky toys), but inside, it's a different story. Pride of place is given to the FETCH 3000 — an amazing machine capable of tabulating scores, disposing of annoying cats, and blending the occasional smoothie. Yes, the FETCH 3000 can even turn a dog...into a star. FETCH! explores the untapped potential of the hugely popular reality television genre and proves that it can be a great venue for kids to have fun while learning problem-solving skills and teamwork. The series also offers viewers an important perspective on competition by letting them know that the value of an experience isn't just determined by winning or losing, but by what happens along the way. Funded in large part by the National Science Foundation, the series focuses on real world science, featuring kids as they pursue questions, conduct experiments, and actively investigate the world around them. In addition, the series also has an extensive outreach initiative, designed to extend the impact of FETCH! 's science themes and give viewers a chance to play along with the show, even after the TV is turned off.